Meet the Summer 2017 BRICworkspace Artists-in-Residence! Home / BRIC Blog / Meet the Summer 2017 BRICworkspace Artists-in-Residence! BRIC is pleased to announce the eight recipients of our BRICworkspace visual artist residency program for the summer of 2017. BRICworkspace provides professional, practicing artists with free studio space, a stipend for materials, and visits with curatorial staff from BRIC and other local institutions, and an open studio event. The residency program is now in its fourth year and is open to artists who live, work, or were born in Brooklyn. This summer, thanks to a generous new donation of space by Alloy Development, we were able to double the number of artists in residence, from four to eight. Awardees include an all-female roster of artists Nicole Awai, Esperanza Cortés, Lucia Cuba, Phoebe Grip, Katya Grokhovsky, Katherine Toukhy, Jamie Warren, and Monika Weiss. 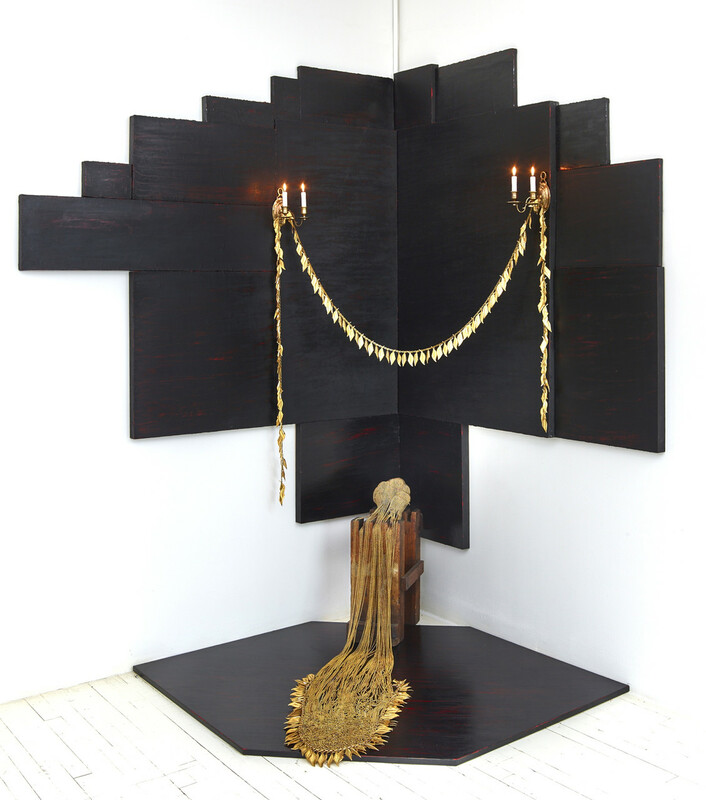 NICOLE AWAI is a Brooklyn-based artist who creates multi-media installations. Her work focuses on the negotiation of multiracial identities and labeling, blending traditional and non-conventional materials including nail polish, glitter and found objects. Awai earned her Master’s degree from the University of South Florida. Her work has been included in group exhibitions at PS1/MoMA, the Brooklyn Museum and the Queens Museum in New York, and at the Kemper Museum in Kansas City, MO. She had solo exhibitions at the Lesley Heller Workspace and The Vilcek Foundation, both in New York City; and at Five Myles in Brooklyn. Awai received the Joan Mitchell Foundation Painters and Sculptors Grant in 2011 and an Art Matters Grant in 2012. 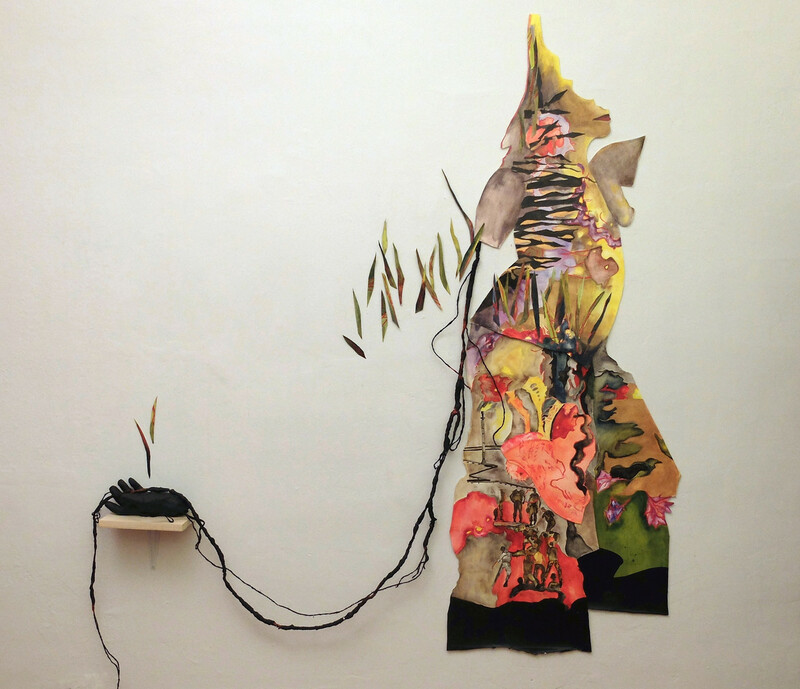 The work of Colombian-born, Brooklyn-based artist ESPERANZA CORTES includes installation, watercolor and collage. Her project, Sonata Oscura, works to criticize the underbelly of the Colombian emerald industry that is rife with corruption and violence. Cortés has received a Creative Engagement Grant from the Lower Manhattan Cultural Council and a Painters & Sculptors Grant from the Joan Mitchell Foundation. Her work has been part of exhibitions at the American Embassy in Monterrey, Nuevo León, Mexico; the Neuberger Museum of Art in Purchase, NY; and at the the Bronx Museum of the Arts, the Queens Museum of Art and PS1/MoMA. Brooklyn-based LUCIA CUBA was born in Lima, Peru. Her work focuses on issues of health, politics and global fashion. 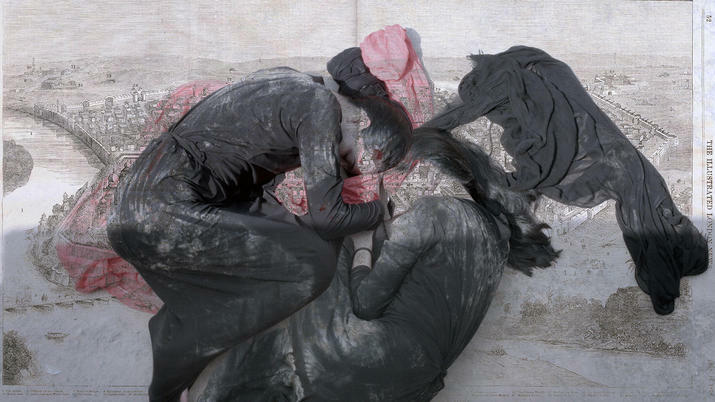 Her project, Exercises of Health, uses garments to raise criticisms and discussions of health and its absence. Cuba received her MFA from Parsons School of Design, as well as a BSc in Psychology and an MA/PhD in Public Health Studies. Her work was featured in the Material Cultures exhibition at BRIC, as well as at the Museum Boijmans Van Beuningen, Rotterdam, Netherlands; the Museum of Art and Design, NY; and the Albuquerque Museum in Albuquerque, NM. Cuba is currently an artist-in-residence at the Museum of Arts and Design, NY, and an Assistant Professor of Fashion at Parsons School of Design, NY. 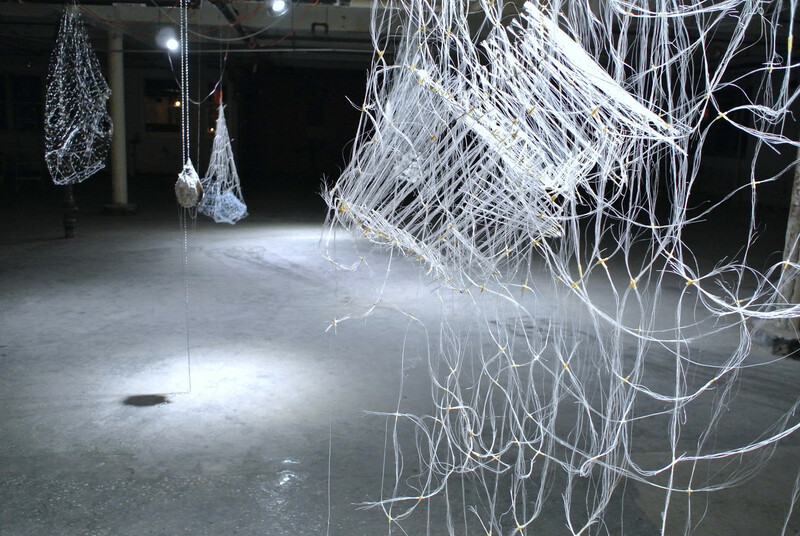 PHOEBE GRIP is a Brooklyn-based sculptural artist, originally from Peterborough, NH. Her works include a series of woven and wire sculptures of snare traps that address themes of predation and gender. She received her BA from Colorado College in Colorado Springs. Grip’s work was included in the BRIC Biennial Volume II exhibition at BRIC in fall 2016, as well as in the Re: Art Show housed in an old Pfizer Pharmaceutical building in Brooklyn. 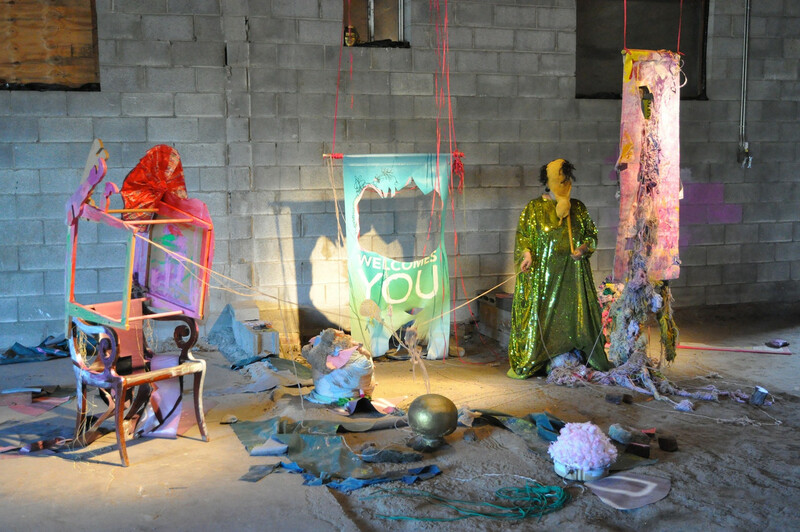 Grip has been awarded residencies and fellowships at the Vermont Studio Center, Johnson, VT; The Lehrman Trust at Soaring Gardens, Laceyville, PA; and The Wassaic Project, Wassaic, NY. Born in Odessa, Ukraine, and raised in Australia, KATYA GROKHOVSKY is a Brooklyn-based artist who combines sculpture with video and photography. Her newest project, The Future is Bright, explores her own experience with migration, re-discovery and alienation through this media. Grokhovsky holds a MFA from the School of the Art Institute of Chicago, and a BFA from Victorian College of the Arts in Australia. She has exhibited work at Center for Contemporary Arts Santa Fe, NM; EFA Project Space and Lesley Heller Workspace, both NY; NURTUREart, Brooklyn; and the Hudson Valley Center for Contemporary Art, Peekskill, NY. She has completed the BRIC Media Arts Fellowship, and residencies at Studios at MASS MoCA, North Adams, MA; and the Wassaic Project, Wassaic, NY. 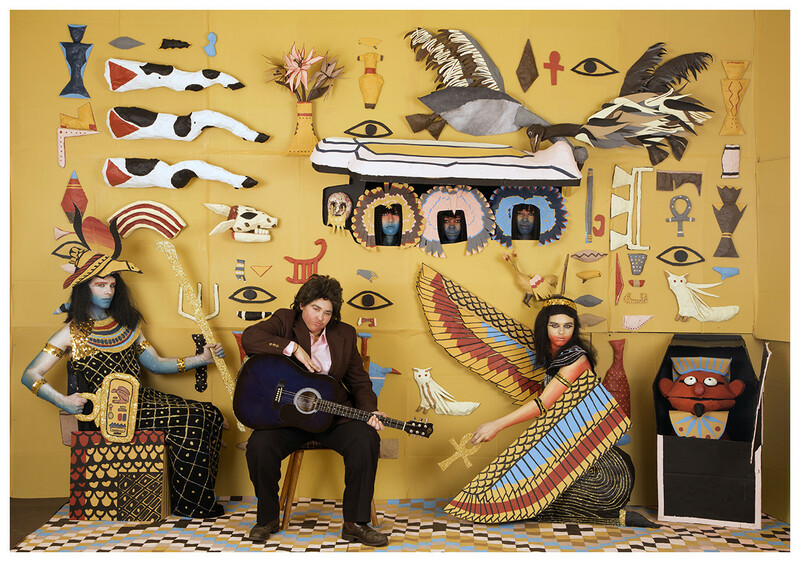 KATHERINE TOUKHY is a first-generation Egyptian, born in Rhode Island, and is now Brooklyn-based. She works in the mediums of collage, installation and painting, reflecting on militarism, buried histories and the collective narratives of displaced and immigrant groups. 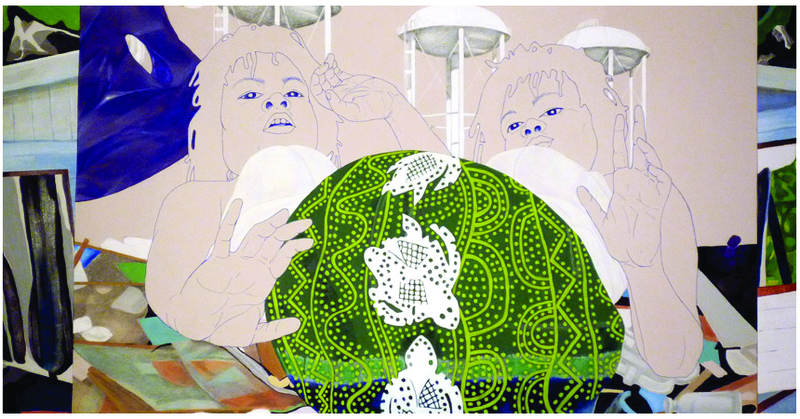 She uses a layering technique in her work to reference ancient Egyptian art, militarism and Islamic patterning. Toukhy earned her BFA from Massachusetts College of Art and Design in Boston, and her BA from Boston College. 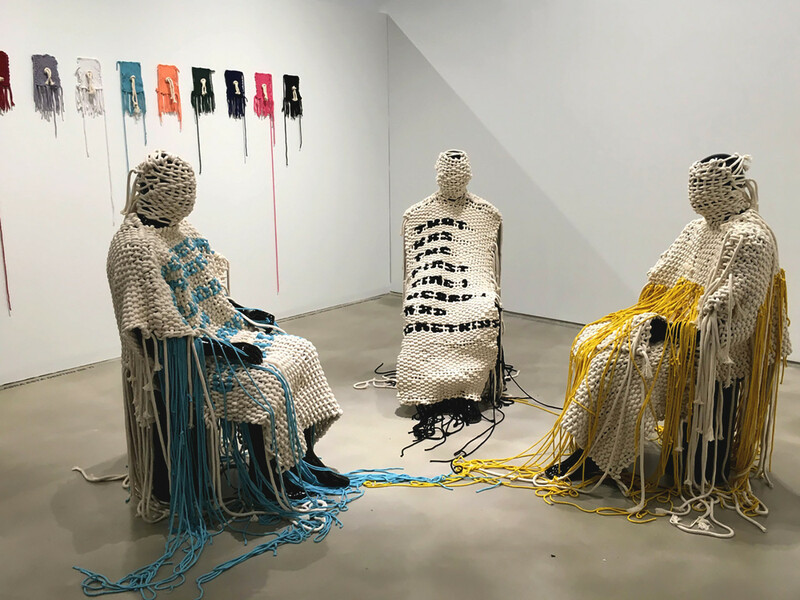 She is a four-time recipient of a Brooklyn Arts Council Grant, and was recently commissioned by The Laundromat Project to create a public installation. Her work has been included in exhibitions at the Skylight Gallery in Brooklyn; the Arab American National Museum in Dearborn, MI; and the Charles Wright Museum of African American History in Detroit, MI. JAMIE WARREN was born in Waukesha, WI, and currently lives and works in Brooklyn. She is a video and performance artist who creates sets and costumes based on Internet memes, pop culture, and art history. Her work expands on traditions of self-portraiture, re-creating famous artworks through performative tableaus. She has had solo exhibitions at The Hole and Higher Pictures, both in NY; The Kemper Museum, Kansas City, MI; and the Miami Dade Museum, Miami, FL. Warren is co-creator and co-director of the community-engaged, artist-led fake television show Whoop Dee Doo, which works with undeserved youth to create and develop projects consisting of installations and live performances. She was a featured artist in the Art21 documentary New York Close Up, a 2014 recipient of the Baum Award for an Emerging American Photographer, and a 2017 Brooklyn Arts Council SU-CASA Artist-in Residence. Born in Warsaw, Poland, and now New York-based, MONIKA WEISS explores relationships between body, history and collective memory through filmmaking and music composition. Her current work focuses on the experience of post-memory—living in the wake of generational trauma, without firsthand memory or survivorship—and how women’s bodies serve as vessels for public remembrance. Weiss has had solo exhibitions at the Centre for Contemporary Art, Warsaw, Poland; the Museum of Memory, Santiago, Chile; and the Frost Art Museum, Miami, FL. Her work has been included in group shows at the Stavros Niachros Foundation, Athens, Greece; Cisneros Fontanals Art Foundation, Miami, FL; and the Montanelli Museum, Prague. She earned her MFA from Warsaw Academy of Fine Arts and has completed residencies at Yaddo, Saratoga Springs and New York Foundation for the Arts, NY.